Louisiana holds nearly 50% of the south’s wetlands. Because of this, it’s become one of the state’s must-see attractions! At Airboat Adventures, we’re honored to navigate and see these sights every day. After traversing the swamps for as long as we have, we know the ins and outs of the place. But only when the sun is up. You’ll probably wonder why we won’t hold nightly tours if we know the place so well. Well, we feel that we don’t have tours at night because we know the swamp so well! There’s a handful of reasons why we only hold swamp tours during the day. We’d like to key you in on them. Swamp tours should be exciting and memorable. If you’ve looked into our scheduled swamp tours, you’ll notice that our 4 and 6 o’clock tour times are strictly seasonal. These times are only in the summer because the sunlight lasts until right around 7:30 p.m. as opposed to 5 p.m. in the winter. Which not only provides better views but better tours! 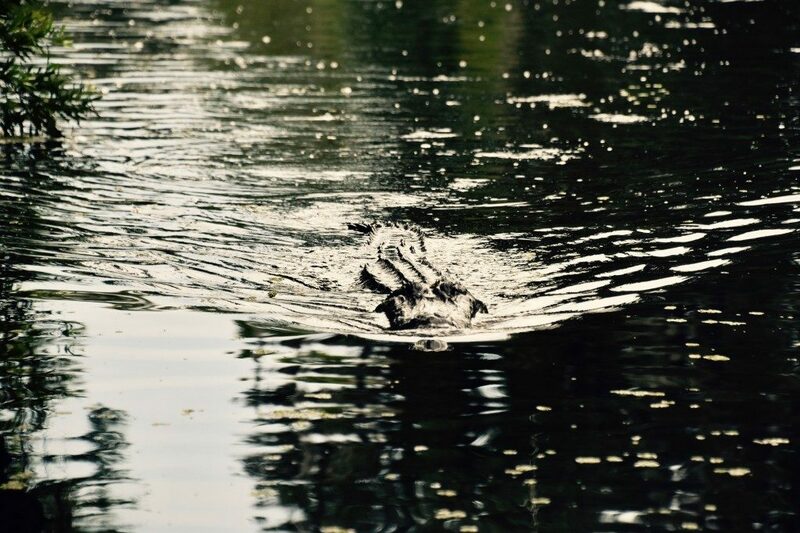 Besides the unique fauna that our swamps provide, our visitors also come to see our gators! However, our resident reptiles hunt for their food during the evening hours. Even with the dark cover of night, they will not come above the water unless they catch something. Our other wildlife are either sleeping or hiding in the dark and nothing can be seen in the waters. Not even with a flashlight. It doesn’t make for much of a tour. So even if we wanted to have nightly swamp tours, we don’t out of courtesy! Louisiana’s swamps and marshland deserved to be looked at. The sunlight provides a better tour, with friendly creatures and sights you can see properly. If you were really looking forward to a nightly tour in NOLA, don’t fret! The Crescent City isn’t just famous for our magnificent swamps, but also our haunted past. So if you’re looking for a nightly thrill, why not look for a ghost tour? New Orleans offers more than you’d think. Unforgettable Swamp Tours Are Just A Click Away! Airboat Adventures has the best swamp tours in New Orleans. Have more questions for us? Don’t hesitate to call us at 504-689-2005 or contact us directly here. If you’re ready for the water, go ahead and book your tour online! Find us at 5145 Fleming Park Road in Lafitte, just a short distance from New Orleans. With the summer months coming up, we can’t wait for you to see the swamp at it’s best!